Is Fish Oil A Dietary Supplement? 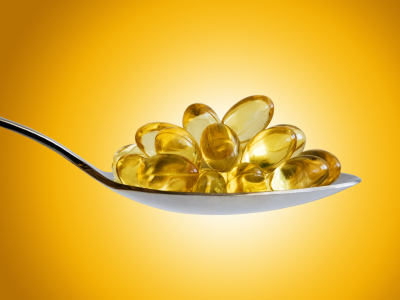 Question: Does the fish oil pill help you lose weight? Is it a dietary supplement? So what does it do exactly? Answer: Fish oils are considered to be a dietary supplement and they can help you lose weight. As a matter of fact, it is on my top 5 list of fat burning foods! These oils contain omega-3 fatty acids which help to speed up your metabolism. They also help to reduce body fat, reduce soreness after workouts and act as an anti-catabolic agent that allows your body to maintain its strength levels while losing body fat. In addition, these oils have a lowering effect on cholesterol and triglyceride levels. They even give your body a good source of natural energy. 2-3 Tablespoons a day for men and 1-1.5 tablespoons for women suffice to get the great benefits that these oils have to offer. I like to take 1 Tablespoon in the morning and 1 Tablespoon at night. You can even be creative and mix it with your protein shake. The brands that I like are Spectrum’s Flax Seed Oil and Carlson’s Lemon Flavored Flax Seed Oil. ← Is it ok to take Creatine caps while taking a weight gainer?